The Hunger Games: Mockingjay tickets are finally on sale! Fandango is running a couple of really cool special offers if you buy your tickets right now. 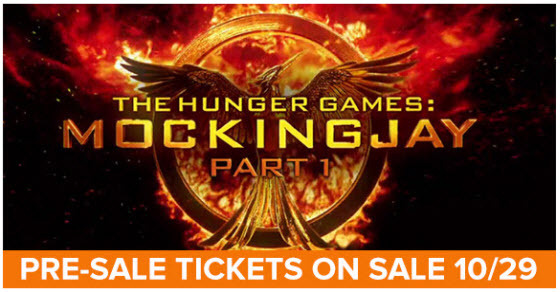 October 29 at noon Eastern: When you purchase Mockingjay Part 1 tickets through Fandango in the first 24 hours you will also get a free movie download of The Hunger Games: Catching Fire. Plus, you will get a sweepstakes entry to win a trip to the world premiere of Mockingjay. 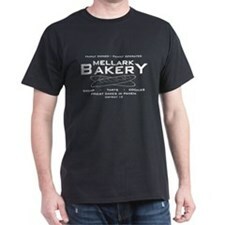 October 30-December 12: Even if you missed the one day only deal, you can still win! Purchase your tickets through Fandango and you will be entered to win a 2015 Mazda3. Plus, through November 7 you can submit your artwork for a chance at having your design featured on one of Fandango’s Hunger Games Gift Cards! Don’t forget that Mockingjay opens in movie theaters everywhere on November 21.